A website is important for marketing your business online. It gives important information to potential clients and helps you carry out online transactions. Sadly, the biggest mistake people make is going cheap and later realizing that they’ve been losing customers! That’s why you should hire a professional web designer. You see, other than the previously mentioned functions, your website speaks a lot about your business. It can inspire confidence in potential clients. Because first impressions are crucial to your business, a professionally designed website can capture the right attention and provide a great impression. It takes seven seconds or less to impress potential customers and give them a reason to continue browsing. Don’t you want your business represented in a professional manner? If yes, then a professional website is your best bet! But let’s quickly look at some other reasons why you should hire a professional web designer. Some of these reasons are technical in nature but are very important. There are millions of websites online and to stand out, you just can’t look like everyone else. 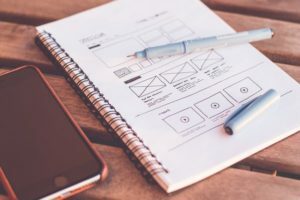 Since the majority websites online were created with website templates or themes, you quickly gain an advantage when you have a custom-built website. In fact, many entrepreneurs report finding it difficult to mold or organize their products and services around pre-designed web templates. You want that unique look and feel that can only come from a professionally designed website. 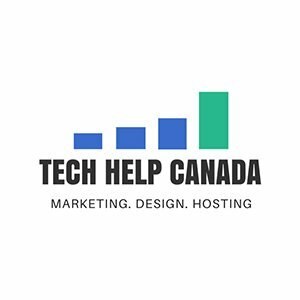 Let’s take Tech Help Canada as an example. No matter how much time you spend looking, there’s only one website truly like it. The Same goes for other brands like Amazon, Ebay, Google etc. On a technical front, pre-designed templates are often not compatible with all web browsers. This can cause you to lose plenty of visitors and a lot of money over a period of time. To avoid this problem, you should hire a professional web designer and have them design something that’s perfect for your business. Normally, your designer will create your site with browser compatibility in mind. If not, you can simply go back and ask them to do so. Test your website on major browsers to spot compatibility issues early. Your website should be able to “wow” potential clients and appealing enough to keep visitors interested. If you can keep people on your web page long enough, they’ll often check out your products and services. A professional look isn’t flashy or loaded with complicated graphics. It’s clean, bold, authoritative and concise. If your website doesn’t communicate excellence within seconds, you’ll fail to inspire confidence in your website visitors. This will greatly reduce your conversion rate. A professional can make your website easy to use, which helps your clients find what they’re looking for quickly. Incidentally, users expect ease of use! Businesses should have easy to navigate websites with search boxes, drop down menus and catalogs, among other things that may enhance the user’s experience. Only a professional can build your website with you and your audience in mind. If you’re ready to make your website professional, unique, and super functional, get a quote here.